Before starting the clean I took several readings with a damp meter to understand if there were any underlying damp issues that may have been exacerbated, most of these old floors have no damp proof course so it’s always good to understand the inherent level of dampness in the floor before starting. 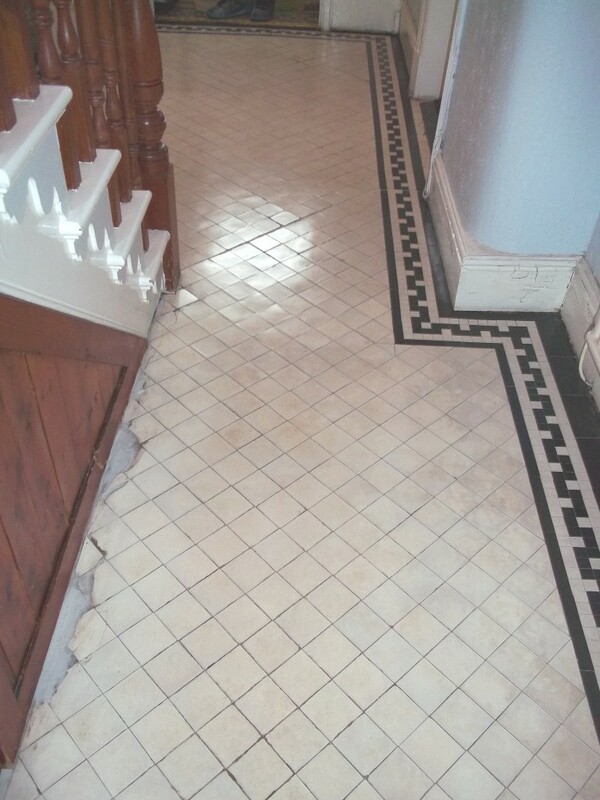 Fortunately there was no evidence of major dampness so I proceeded with the cleaning by applying a dilution of Tile Doctor Pro-Clean which is an effective alkaline cleaner that is safe to use on these tiles and left it to dwell on the floor for ten minutes before working it in with a Rotary Machine fitted with a scrubbing pad. It was then time to break out a stiff brush to get into the grout lines where the pads can struggle to reach. 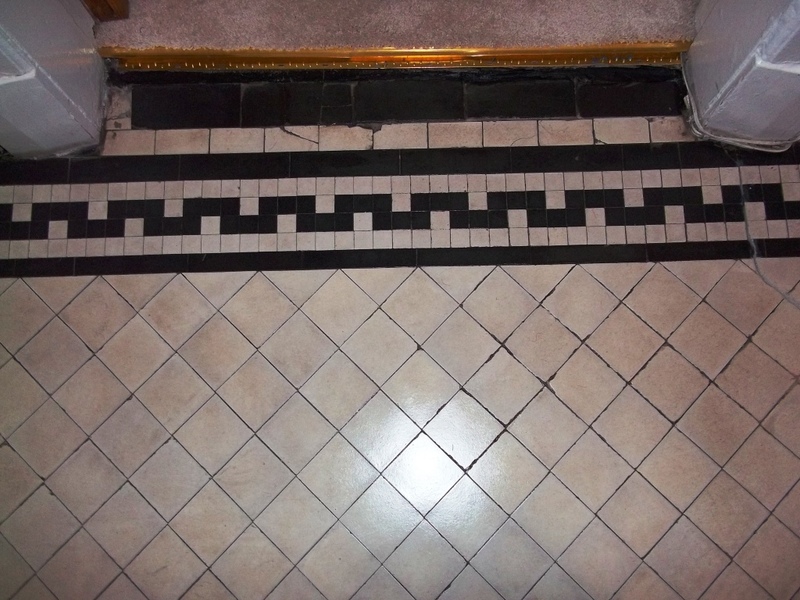 The last step was to remove the soiled cleaning solution with a wet vacuum and give the floor a rinse with Acid Gel which keeps the Alkaline salts in the floor at bay and avoids any efflorescence issues that are quite common with these old floors. I came back the following day and damp tested several areas again to make sure the floor was dry; the results confirmed the floor had dried and ready for sealing. I sealed the floor using five coats of Tile Doctor Seal and Go which provides the satin finish the customer wanted whilst offering excellent stain protection. You have to leave each coat to dry before applying the next so this process can take some time. 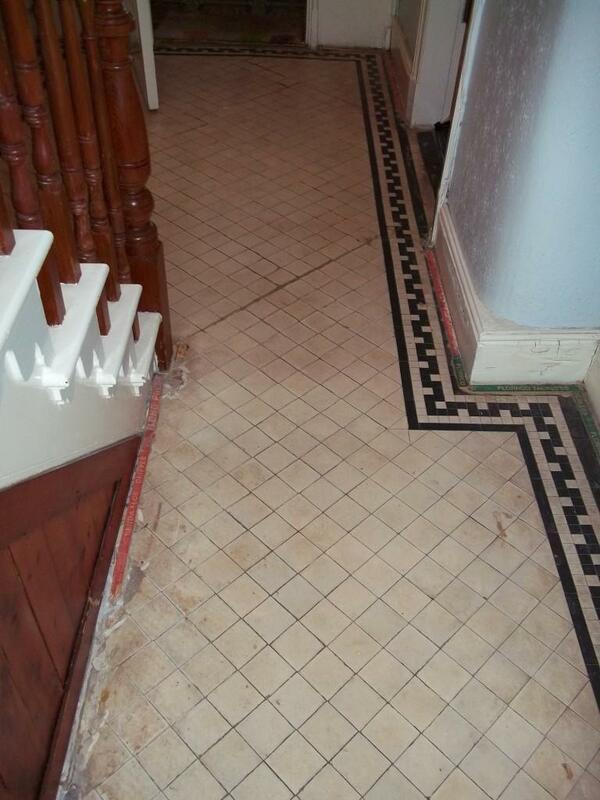 This entry was posted in Victorian Posts and tagged cornwall, hallway, newquay, tile cleaning, tile sealing, victorian tiles by AbzDominise. Bookmark the permalink. 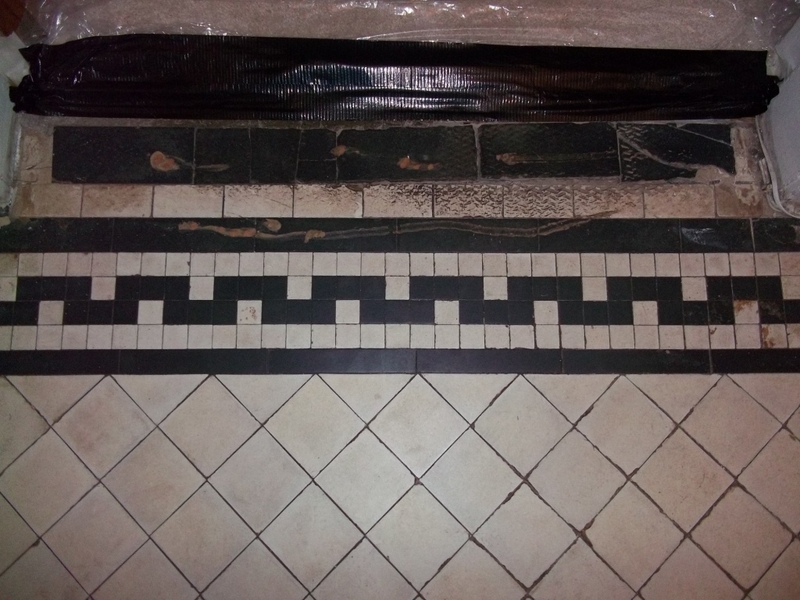 Tile Doctor have the products and training to handle a multitude of issues surrounding stone, tile and grout including grout cleaning and colouring.